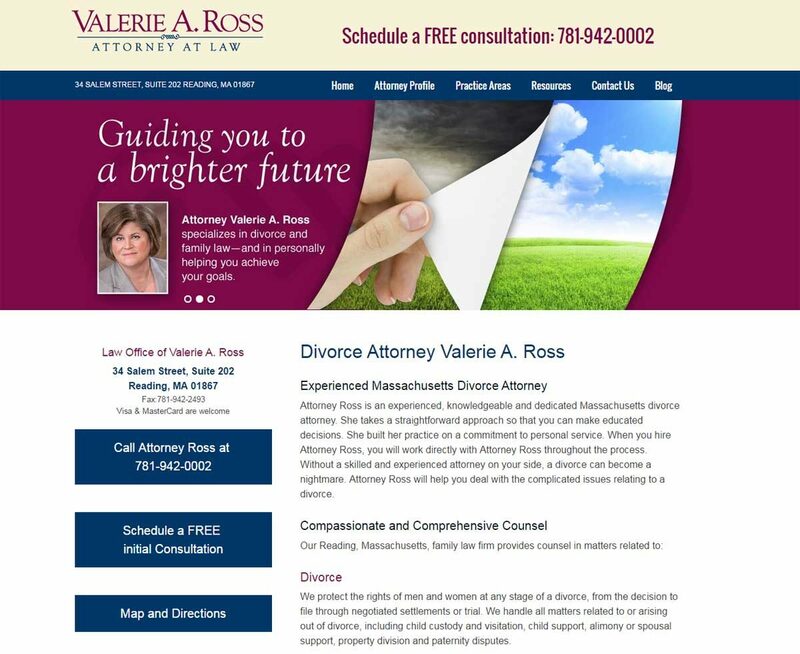 Web Image Designs worked with Attorney Valerie Ross to create a custom website design that would be eye-catching for her law practice. Emphasis was placed on making it easy for potential clients to understand her areas of practice and how to contact her. Custom headers were created to present a unique image on each page of her law practice website.